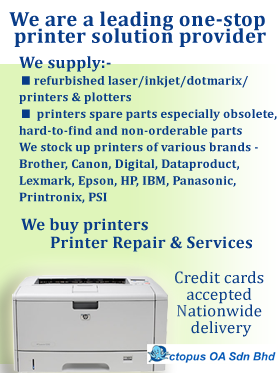 We are printer specialist – buy with confidence ! Service & Support extended 1 year warranty available, talk to us. Copyright © 2019 Octopus OA Sdn Bhd - Your 1 Stop Printer Solutions Provider.